Singapore: Epicor Software Corporation, a provider of industry-specific enterprise software to promote business growth, announced at the Epicor Insights Customer Summit in Australia, the winners of the 2017 Epicor Customer Excellence Awards programme for the APAC region. The global awards programme, now in its second year, recognises innovative organisations that have successfully transformed operations by deploying Epicor solutions and services to achieve excellence in business efficiency, customer experience, and overall performance. 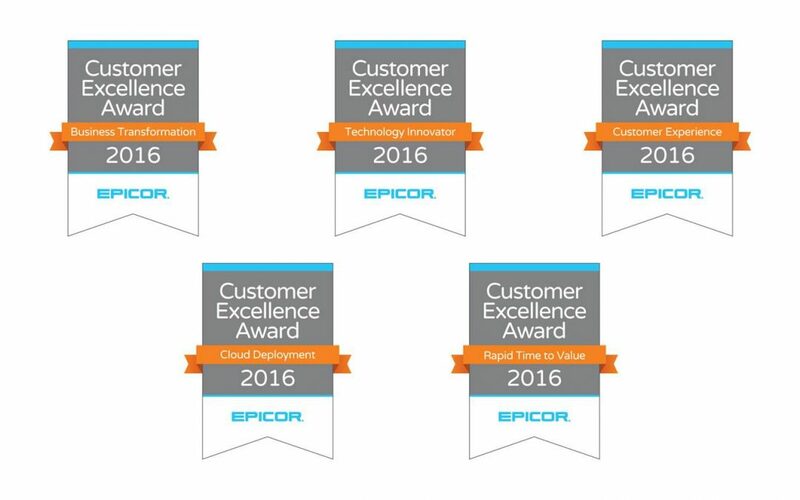 Epicor Customer Excellence Awards programmes are run in the Americas, Asia Pacific, the UK, the Middle East, and South Africa. The regional programme winners are also now finalists in the global awards programme categories for overall ‘Customer of the Year’, with winners to be announced later this year after all the regional awards programmes have concluded. The winner in the Technology Innovator category is PT Tunas Ridean (Tunas Group). The Indonesian road recovery organisation was selected for demonstrating how it has used technology to drive innovation throughout its business to achieve measurable success. Based in Hong Kong, Cathay Tat Ming is the Business Transformation winner, chosen for implementing Epicor ERP successfully across its four production facilities–using the technology to transform its entire business. The Customer Experience award winner is port equipment engineering specialist Portek based in Singapore who has transformed customer experience through the implementation and adoption of Epicor ERP across the business. The Brand Agency in Hong Kong won the Rapid Time to Value award for demonstrating a fast implementation and deployment of Epicor ERP through motivated project teams, efficient and effective staffing, training, and production readiness. Award entries were judged by the complexity of the project, including what business areas were impacted by the scope of the project. Clearly stated objectives included why each initiative was started, what the deliverables were, how each entrant defined success, and how the Epicor implementation helped the business achieve its predetermined goals and KPIs.